​If you love nature and Halloween, we have an event for you! 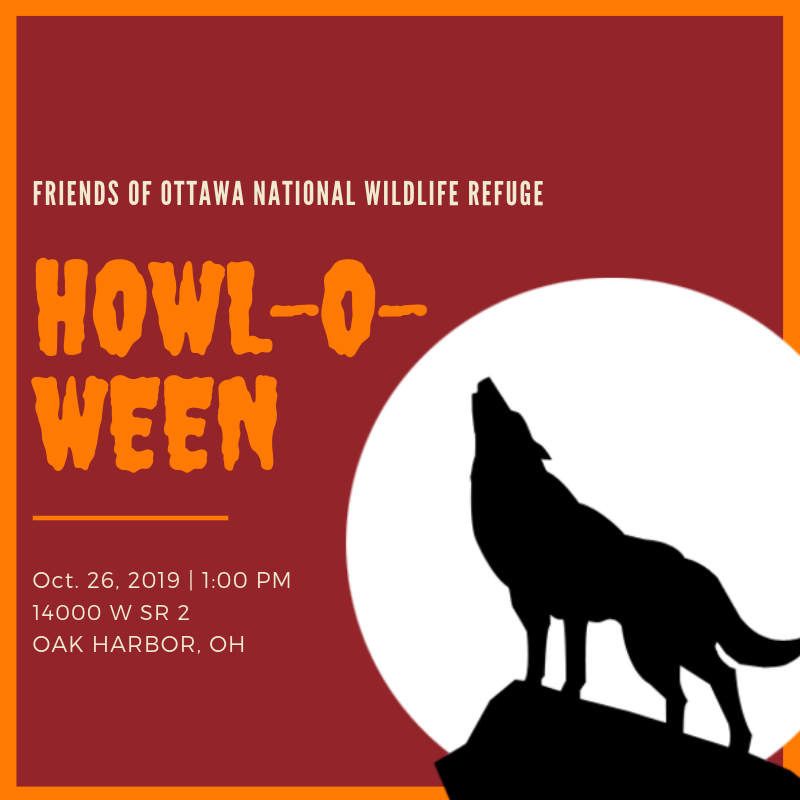 Join us Saturday, October 26, 2019 from 1-3pm for Howl-o-ween at Ottawa NWR. Come dressed in your finest costumes and bring your favorite treat bags for this fun-filled afternoon. From 1-3pm, the boardwalk loop will be decorated for Halloween with costumed volunteers along the way. Answer a fun nature question for your treat from each station! Enjoy spooky story time with the Witch in the Window on Wildlife and be sure to check out the Visitor Center for the Fortune Teller and nature crafts! ​Coffee, cider, and goodies will be available. In case of inclement weather, we will move activities into the Visitor Center.